The fiery Italian has made a surprise move to Liverpool, and it may well be worth FPL managers to start thinking ahead and consider Balotelli at some point this season. Balotelli is a risk due his disciplary record but posses power, techcique and aggresion in abudance. The following shows the teams in which he has scored against in the Premier League from 2010/11 to 2012/13. The Italian international stunned Germany with a somewhat of a surprise first half brace to help send Italy through to the final, only to be beaten by the eventual winners Spain (4-0). PLEASE NOTE THAT BALOTELLI MAY NOT START THIS GAMEWEEK. The return of the Barclays Premier League brings with it plenty of ecstatic moments among many ardent soccer fans around the world. The thrill that comes with watching their teams take on their opponents is always high. Especially during intense ancient derbies such as the mercy side derby between Everton and Liverpool, the North London Derby between any of the three teams, Tottenham Hotspurs, Arsenal, and Chelsea. Last two weeks have quenched the thirst, for many teams and fans in the league, it is now time to wrap the transfer market and embark on some serious business of hunting the top honor. Therefore, the following EPL fantasy football updates though not always guaranteed can help make some sound predictions throughout the season. 1. Arsenal’s transfer policy will pay off this season- it took the gunners over eight years to win a silver wear. But after signing the German midfielder, Mesut Ozil things seemed going well as the team remained on top of the table for more days than the eventual winners Manchester City. Even though they didn’t win the epl title, the FA cup triumph was a good consolation. This season the team is back again with a bang. After humiliating the reigning epl champion in an entertaining community shield cup encounter at the Wembley three weeks ago, it is no doubt the addition of Alexis Sanchez, Mathieu Debutchy, and the talented English man; Calum Chambers will reward the patient of arsenal fan with an EPL trophy. 2. Angel Di Maria will lead Manchester United to title charge- under David Moyes, it was difficult for Manchester united to put on a spirited challenge for the title. However, the team just might be stronger this summer after including Herrera in the midfield and in less than twenty four hours ago, the new manager added yet another proven talent in by signing Angel Di Maria from Real Madrid at a record transfer fee. The inclusion of the Argentine winger can help see Manchester United into the contention for the title this summer. The player can help bring strength, belief, and quality into the team. 3. Chelsea will struggle with Diego Costa and Didier Drogba- Chelsea strengthened their striking by re-signing the Ivorian striker, Didier Drogba and the Brazilian born Spanish striker Diego Costa. However, the two players will not add much value to Chelsea’s title charge. Foremost, Drogba is aging out and will not give the team 100% as he used to do before, after struggling in the World Cup, it is clear that the player won’t be of much value to the team. Secondly, Costa is an injury prone player and may miss much of the season with injuries. 4. Mario Ballotelli, a wrong replacement for Suarez- getting the thirty plus goals that Suarez had before leaving the club for Barcelona will be difficult. Even though the two are both controversial players, Mario will not match the footsteps of his predecessor, Luis Suarez. Physically, Ballotelli will be a threat to many teams, but he will not match the quality and legacy left by the Uruguayan. A second successive flop for FlyBuy has meant a poor start to the season for yours truly. It can be argued that the loss of Steven Pienaar to injury in GW2 early on in the game is not an indication of my poor selection; just bad luck. Anyway, what it probably will mean is that Baines will get back amongst the points for Everton as he will no doubt be the furthest man forward on that left wing with Pienaar out for a while. I need to redeem myself with this weeks pick, but at the same time I don't want to play it safe as I see that being a bit of a cop-out. Remember that FlyBuy is not a one-off pick for just one gameweek, instead it is based on a prediction that a player can go on a little bit of a points scoring run over several games. With that in mind I have pored over the upcoming fixtures (bearing in mind that there is an International break after GW3), and have selected a pick based on the team I believe have the "easiest" games - at least on paper. But, as we all know, football matches are not played on paper, and sometimes the most unlikely results are thrown up. For instance, who could envisage that Sunderland would have dropped 2 points last weekend, or that Aston Villa would keep a clean sheet for 2 weeks in a row? Not this callsign certainly! This week's pick is certainly a differential, based on an ownership stat of just 1.1%. Have I got your attention yet? A new signing for this season, he only made his debut in a 21 minute cameo last weekend. He is a playmaker and a potential assist provider, if only those in front of him find their shooting boots soon. Favourable fixtures over the next few weeks are the struggling Crystal Palace at home, Southampton away, Hull at home, Stoke away, Swansea away and Leicester at home. Hopefully a few points in amongst that lot for my FlyBuy choice for GW3. He is, of course, Newcastle's Siem de Jong. Averaging just under a goal every 3 games during his 7 years with Ajax, if Riviere continues to disappoint, Alan Pardew could well push him up higher and employ him as an out-and-out striker. I have high hopes for him, and if you take the plunge, I think once we emerge from GW8 you'll be pleasantly surprised you took my advice. People love #FPL, the banter, the tactics the player and indeed team bashing, it’s fun, competitive and free. Each year millions log on the official Premier league fantasy football site and play. 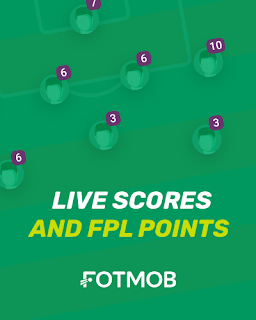 Fantasy Football is time consuming however and while there are some great accounts out there to help, the FPL Chief being once such, us nice folk at www.fanfeud.co.uk have developed a weekly FPL game for you. Free to enter with Cash prizes, FANFEUD allows friends and rivals to #clashforcash. Just log on, select a game, pick five players and the most point’s wins. Our next game is Manchester City versus Liverpool, so do check it out. - Manchester City were strong point wise all over the team last weekend with clean sheets for Joe Hart and his defenders. Gael Clichy topped the scoring amongst the back 5 with 9 points. - In midfielder a goal from David Silva helped him to 9 points while Sergio Ageuro’s late second goal saw him equal Daniel Sturridge’s tally of 6 points. - Meetings between this two teams have goals in them, so don’t plump for defenders. Last season there was 8 goals in the two games between them. - The home side has a good record against Liverpool, winning three and drawing 2 of their last 5 games, and in general they have a strong home record dropping just four points all of last season. - City and Liverpool both love to score, the two clubs broke the 100 goal mark last season. Liverpool scored in 18 of their 19 away games last season while City have scored in each of their last 14 games. · - All of Nasri's (7) Premier League goals in 2013/14 were scored at home. · - 3 of Man City's next 4 Premier League matches are at home. - - 5 of Nasri's (official) assists in the Premier League last season came away from home. · - Nasri takes corners for Manchester City. · - Nasri was one of the highest chance creators in the Premier League last season. · David Silva is one of the highest assisters and chance creators in recent Premier League history. Silva was involved (scored/assisted) in 10 + Premier League goals last season. · 5 of Silva's last 8 Premier League goals have been scored away from home. · Silva is generally consistent in terms of some sort of goal involvement and creating chances throughout the season. The first FlyBuy pick of the season didn't really pay off in the way I had envisioned. I guess it is always dangerous opting for a defender to pick up FPL points when it only takes one concentration lapse from within the team to concede a goal and wipe out all of that individuals good work. And to be fair, Calum Chambers was good in GW1. Unfortunately Arsenal did let a goal in and young Mr Chambers picked up a yellow card. 1 point. Hardly the best of starts, but I guess that also applied to my entire FPL team, who collectively picked up a disappointing 56 points total. Hmm. It is no consolation, but I believe I'm right in saying that Chambers has "won" the Arsenal fans vote for Man of the Match in each of the last 3 games (Manchester City in the Community Shield, Crystal Palace in the League and Besitkas in the UCL). Somebody can put me straight if that is not the case I'm sure. I am referring to Everton of course, and in particular a player that tends to slip under a lot of peoples radars, mainly due to his injury record I would assume. However, his wing play in GW1, and in particular the sixth sense understanding he appears to have with Leighton Baines, really piqued my interest. He picked up an assist plus one bonus point which still doesn't appear to have made anyone notice. I certainly haven't heard of anyone rushing to transfer him in. Over 10,000 managers have though, and they could possibly be onto something. The player in question is none other than Steven Pienaar. As I said, a disappointing season last year should not detract from the fact that in seasons past, he has a more than decent combined goalscoring and assist record. The fixtures are not kind, but under Roberto Martinez's playing style, Baines and Pienaar will be bombing up that left side and trying to get in behind the defence, no matter who the opposition. With Naismith and Lukaku lurking in the box, the competition could be on between Baines and Pienaar for who can rack up the most assists. During pre-season, I have been compiling a secret invitational H2H mini-league. I am pleased to announce that it contains the overall reigning FPL champion, the former champion, many ex-number ones and ex-Top 100 players, a smattering of FPL pundits & personalities, as well as a good showing from the FPLH alumni. There are no prizes for Chief's Super Cup, just bragging rights! Moreover, there is no guarantee of success. However, based on their collective FPL knowledge and past form, this should be a competitive and LEGENDARY H2H mini-league. Big Phil (Scolari) left little Phil (Coutinho) out of Brazil's squad for the 2014 World Cup squad but whereas this may have been their loss, it may well turn out to be Liverpool's gain. Despite not being involved in (scored/assisted) in a goal until November (he missed some games through injury), he possess a great amount of technical ability and has shown flashes of of what he is capable of. His dramatic winner against Manchester City (3-2) in May is a reflection of his technical ability. · Coutinho has been in involved in (scored/assisted) in goals against 5 of Liverpool's first 6 opponents. (Southampton, Manchester CIty, Tottenham Hotspur, Everton and Aston Villa). · 5 of Coutinho's 8 Premier League goals were scored against Liverpool's first four league opponents. · 3 of Coutinho's 8 Premier League have been scored from outside the penalty area. - A considerable amount of Coutinho's assists have came via through balls. - Coutinho's defence splittings passes has lead to assists and goals have seen him be involved in (scored/assists) in goals against last season's top half teams. - Coutinho's creates numerous chances and takes many shots on goal throughout the season. - Coutinho carries an exciting threat in the opposition's final third. · Exactly half of (4) of Coutinho's Premier League goals (8) have been scored against last season's top 6. 5 of Coutinho's 8 Premier League goals have came against last season's top 8 teams. The Brazilian has been involved in (scored/assisted) in 20 Premier League goals in since signing from Inter Milan in January 2013. Coutinho was involved in (scored/assisted) in exactly half of Liverpool's 4 goals in their final pre-season warm up match against 2013 Champions League finalists Dormund (4-0) and also assisted a goal for Suso in another previous pre-season win for the reds against another fellow past Champions League finalists AC Milan (2-0). if he can continue this good form than he could be one to watch for the as well as being an exciting and dazzling edition to your FPL team for the 2014/15 season. It's rare for Jose to go trophy-less 3 seasons in a row. His rebuilt team is ready to win the title. They could mount a serious title challenge with their depth, but may just fall short (again). They may focus more on winning the CL this season, which may hamper their pursuit of the PL. LvG doesn't have Euro distractions and will re-work United. Will have a good start to the season. Pochettino did a fine job at Southampton. Could win a cup or two, not the Premier League. Lukaku's permanent transfer was key, but Everton won't better last season's finish. The signing of Bojan could herald a "Barca Lite" era at the Britannia. Get ready, be surprised. Bought lots of new faces in the summer. Should do about the same as last season. They sold their key players, but also bought some in. Koeman will rebuild and reinvigorate. Poyet inspired his men to a sensational bounce back & they should continue their stability. Won't win much away and will be hard to beat at home. Expect the same old from Sam. Monk is no Laudrup. At the same time this team in transition will hardly be pushovers. New CB partnership, good start to the season and a late super buy will boost their season. May have an indifferent first half of the season, but they could be a difficult force at home. Expect them to be bogged down in Europe and have enough in their tank to bank 40+ PL points. Their summer transfers look unconvincing. Will have a tricky start but Benteke should bail them. Pulis saved them from relegation last season, but without him they are nothing and doomed. Another inexperienced PL manager for WBA. Lescott is a bonus but he won't keep them afloat. I'm sure they will notch a few decent victories at home but ultimately will battle in vain. The above information is merely speculation & should not be used for betting purposes. "It's back! ", I hear very few people shouting. "Flybuy is back on the FPL Hints blog, giving me an indication on which player to bring into my squad based on the astute knowledge that Fly brings to the FPL party", somebody nearly said. Well, yes, I'm back. And so is my weekly "FlyBuy" pick. The parameters are somewhat different this season, in that there are no parameters. By that I mean I'm no longer working with only being able to select players based on their clubs league position and restrictive ownership percentages. However, what remains is that the weekly FlyBuy pick will be based on a players potential for a good points score when that hasn't necessarily been the case based on form, injury lay-off, being out of favour or just generally not necessarily being on your radar as an FPL manager. So, I will kick you off with a pick based on nothing other than gut feeling. Last Sunday's Community Shield between Arsenal and Manchester City saw the inclusion of a player who was perhaps a bit of a surprise to some people. Signed by Arsenal in the Summer, it was expected he would not perhaps feature immediately. But with the realisation that Arsene Wenger has given his World Cup winners (Ozil, Mertesacker and Poldi) a bit of an extra break given their efforts in Brazil, he chose to field ex-Saint Calum Chambers in the back four alongside Laurent Koscielny. Before the game, young Chambers' ownership % sat at 2.8%. At the time of writing today, less than 4 days later, it is 6.1%. So, some of you have already jumped aboard this particular bandwagon. But surely this is foolish? Mertesacker will inevitably reclaim his rightful spot sooner rather than later, with Chambers only duty being to pick splinters out of his arse on the Arsenal bench? Well, not necessarily. And this is where gut feeling comes in. Chambers will almost definitely, positively, maybe start on Saturday evening at home to Crystal Palace. Unless Wenger pulls our pants down and starts Mertesacker with no preseason. Which he might. Or he might not. And I don't think he will. You see, Arsenal then have a UCL tie away in Turkey on Tuesday night. And I think Mertesacker will start in that game. Leaving GW2 for Chambers to come in again to face Everton away at Goodison. Then Arsenal face the return leg versus Besiktas on the following Wednesday night (Mertesacker again) before going to Leicester for GW3. Chambers again. I predict Mertesacker will definitely regain his place by GW4, but I think Chambers is worth the place in your squad until then. Priced at a bargain £4.5m, even IF he only plays in GW 1 and 2, it'll give you the chance to analyse the form of the other "bargain basement" defenders with a view to bringing them in. All the best for the season. Hope you stay tuned. Following on from my "Best Goalscoring Defenders" post, I'm back with another dosage of results from FPLH's Algorithm. This time around I wanted to know who was the "best pound-for-pound" assisting defender in the Premier League. More precisely, from the last two Premier League seasons (since 2012/2013). In my estimation an assist rate of 12.5% or more (or thereabouts) is exceptional for a defender. In producing the aforementioned results I looked at a number of factors such as the first 10 upcoming Gameweek fixtures of each player (up to the first week of November 2014), assists/assist rates since 12/13, 14/15 starting prices and latest ownership which amalgamated into producing the FPLH Algorithm scores. Please note; our algorithm score doesn't factor in non-Premier League goals, any assists, injuries, potential suspensions or possible squad rotation risk. 1. Nathaniel Clyne (FPLH Algorithm Score). 2. Aleksandar Kolarov (Most Assists). 3. Jose Enrique(Best Assist Rate). 4. Matthew Lowton (Best Differential). As with the previous goalscoring defenders article, I know that this post has also thrown up some surprises. Clyne seems to be the best all-round assist-orientated defender and like goalscoring-Fonte could flourish with their recent experience and good run of games. However, unsurprisingly, none of the top 10 of the best assisting defenders from my spreadsheet are centre-backs. They are the full backs who make the marauding runs, do the precision crosses or simply get the ball to their team's attackers by any means necessary. Incidentally, none of the Algorithm Top 3 have played 60+ games over the last two seasons, which may inadvertently show them up as rotation risks. Moreover, Baines made my Top 5 in the goalscoring and assisting category which makes him a banker for any FPL team. With the culmination of both articles, this still begs the question, should you focus on getting assist making full-backs or goalscoring centre-backs? Looking at the stats, the best assisters are full-backs who incidentally seem to be cheaper than the goalscoring centre-backs. This ticks one box. But the game changer for me is the new change in bonus points calculation rules. As per the article on FFS, it seems that attacking full-backs will benefit the most. As a result, I may configure my team to have 3 or 4 attacking full-backs and only 1 or 2 goalscoring centre-backs. Ultimately, it's your call. I hope you have found my FPLH Algorithm articles beneficial and that the supposed theory can be backed up by the real life practical come Gameweek 1. With the 2014/2015 season fast approaching, I thought it best to once again crunch some numbers with our bespoke algorithm. I wanted to know who was the "best pound-for-pound" goalscoring defender in the Premier League. More precisely, from the last two Premier League seasons (since 2012/2013). In my estimation a strike rate of 10% or more (or thereabouts) is exceptional for a defender. In producing the aforementioned results I looked at a number of factors such as the first 10 upcoming Gameweek fixtures of each player (up to the first week of November 2014), goals/strike rates since 12/13, 14/15 starting prices and latest ownership which amalgamated into producing the FPLH Algorithm scores. Please note; our algorithm score doesn't factor in non-Premier League goals, any assists, injuries, potential suspensions or possible squad rotation risk. 1. Jose Fonte (FPLH Algorithm Score). 2. Leighton Baines (Most Goals). 3. Martin Skrtel (Best Strike Rate). 4. Phil Bardsley (Best Differential). *Joint cheapest with Bardsley in our list. I know that the results will come as a surprise for many. But bare in mind they give a favourable bias to goals scored by defenders in the PL over the last two seasons. I didn't even bother to think about Fonte till I crunched the numbers, but I might try and fit him into my team now. So now you know... Don't delay and get tinkering! Will You Be Infected With Fantasy Football Syndrome? 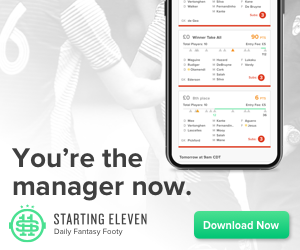 Here's an amusing news story on the discovery of a new "syndrome" called Fantasy Football Syndrome that targets people like me and you - Fantasy Premier League addicts. The article first published on FanXT blog that tells the 6 symptoms of fantasy football syndrome. For my first article of the new season, I have decided to do a “Player vs Player” study based on my own thoughts and opinions while trying to select my own squad for the forthcoming season. In an ideal world, you’d be able to pick all six of the following players. But FPL is not ideal. Some managers will try though. Be warned – you’ll end up with a defence weaker than wet tissue paper if you do! · Will Wenger ease him in gently? · Will he take time to adjust to the pace of the PL? Sanchez is unproven in England, yet has proven pedigree. Arguably moving from Barcelona to Arsenal is a step down career wise; but this may mean he is hungry to prove people wrong? He is Arsenal’s marquee signing, so it would be crazy for Wenger not to start him on his home debut. But Wenger has a way of frustrating FPL managers as he has proved in the past. Sanchez may struggle initially to adapt to the pace and power of the premier league. Hazard was the third highest scoring FPL midfielder last year, behind Yaya Toure and Steven Gerrard. Although Belgium did well in the World Cup, Hazard did not exactly set the tournament alight as many predicted he would. The arrival of Fabregas may stifle his attacking prowess this season. Possibly a rotation risk, and don’t forget about Mourinho’s open criticism of him towards the end of last season. A tricky one this. Personally I am reluctant to include brand new arrivals to the premier league in my own squad until I’ve had chance to judge how quickly they adapt to the pace. The fixtures for both Arsenal and Chelsea are similar in terms of difficulty for the first 10 game weeks. It’s a bit of a coin toss this one. My head says to vote for the proven record of Hazard, but my gut feeling says Sanchez will hit the ground running – therefore it is Sanchez that gets my Flybuy recommendation. · Where will Jose Mourinho play him? · Will Wenger change his role in the attacking strategy? · Arsenal midfield options – rotation risk? Both players already have high FPL ownership; nearly one in 5 managers have selected one (or both) of these players. Both are proven in the PL and there is nothing to suggest they will not hit the ground running from Gameweek 1. It may take time for Fabregas to develop an understanding with his team mates (particularly Costa) but this will be a similar situation for Ramsey (with Sanchez). There is very little to choose between these two truth be told. Fabregas seems to be playing well in pre-season, and he is genuine quality. It may take time to form a partnership with Matic and Hazard, but he is intelligent enough to get to grips with this quickly. However, on this occasion Ramsey gets my vote; he has had a good rest over the summer – not including the time out due to injury between Jan and Mar, which means he should be fresher. However, i would advise including both in your FPL team. You won’t, because you’ve already gone for Sanchez for your Arsenal midfield representation haven’t you? · Perfect “robust” physique for a PL forward? · Rushed back from hamstring injury for the UCL final, and hasn’t looked right since - possibly carrying some extra weight? · Replaced by Torres during ineffective performances for Spain – Deja vu? Both players again have high ownership percentage, especially the unproven Diego Costa. He looks to have all of the attributes associated with a successful premier league forward; robust physique, tall, eye for goal. However, his record before last season’s exceptional success for Atletico Madrid has been average at best. Is he the real deal? Rooney on the other hand definitely is the real deal. His Premier League record speaks for itself. He will be eager to impress his new manager and he desperately wants that Captain’s armband from LvG. Costa is proving to be a popular FPL pick for many people. His ownership stats are very high for a player coming to a new league off the back of one exceptionally good season. Rooney on the other hand is FPL’s “Mr Consistency”. Risk taking is the way to climb the FPL leader board; however it’s not necessary from Gameweek 1. Remember; it’s a marathon not a sprint. And there is no better long term bet than Wayne Rooney to guarantee consistent points week after week. With no European distraction, I predict he will be a “must have”. The only risk is being outscored by his own team mate, RvP. Squeezing them both in to your FPL team will be nigh on impossible, so make your choice wisely.